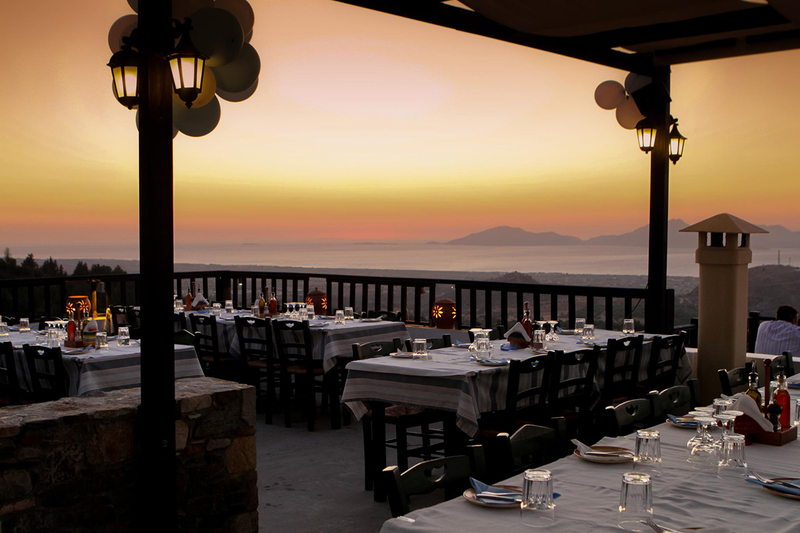 The genuine local cuisine with traditional dishes from Kos and the breath-taking view of the sea from the beautiful bougainvillea covered roof top are what tavern Oromedon has to offer to the visitor, that is in search of authenticity. The family tavern started off in 1997 and is committed to preserve the genuine gastronomic identity of the island. While viewing both on the one side an amazing sunset and on the other side the verdant slopes of the mountain Dikaios (Oromedon), the tavern serves delicious traditional specialties, such as an amazing pork dish with buttery pligouri and chickpeas, tender roasted lamb with rosemary, allspice and garlic, liver stuffed baby goat and sweat spices as well traditional “hortopites” (pies), most of which have been slowly cooked overnight in a wood-oven operated with the traditional mud sealing technique. Finally, your meal is completed with a sweat variety of traditional desserts, such as “katimeria” – a special local cheesepie with honey – making sure you leave with the true taste of Kos in your mouth. or any other events that you want to make special! !